Never Enough Nails: Celebrate Hump Day with Lynnderella Swatches! What better way to celebrate being half way through the work week than looking at some glittery Lynnderellas? I acquired a lot of new Lynnderellas over the holidays and it's time to start sharing them! First up we have the gorgeous Lynnderella After the Moon Was a Star. 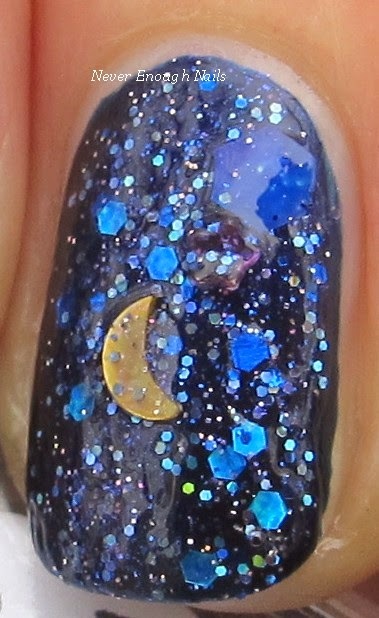 One of my all time favorite core Lynnderellas is When the Moon Was a Star and this is kind of a sister polish to that. This one has a lot more small holo glitter, large blue pieces of glitter, and those little tiny star glitters that I don't think were in the original. Lynnderella and her brother Paul sent After the Moon Was a Star out as Christmas gifts to some of their customers. I love that so much! What other brand sends out beautiful Christmas gifts like this? I am not sure whether this will be available for purchase, but it may be eventually. 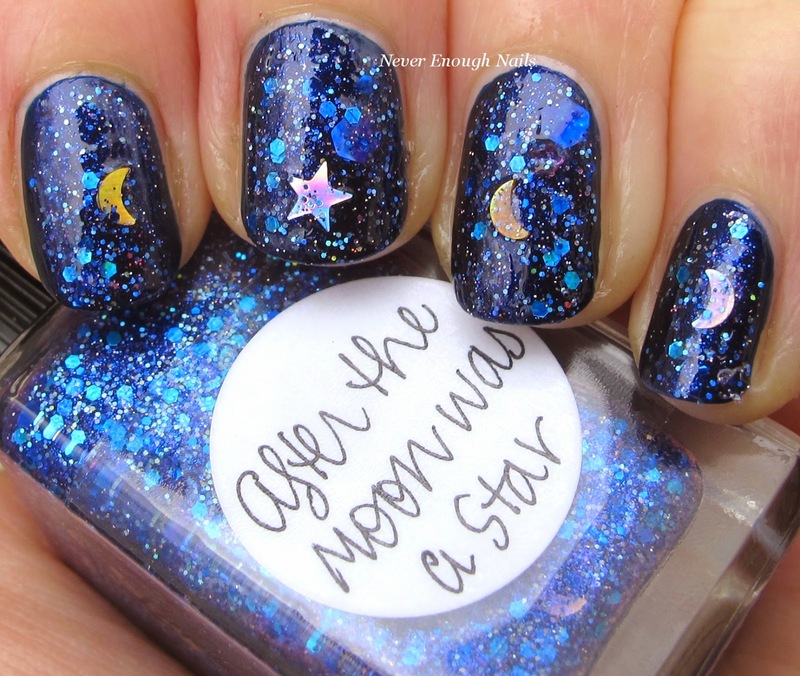 This is one coat of After the Moon Was a Star over Barielle Midnight in Paris. This was easy to apply. The moons and stars came out readily on the brush, but I did wipe them off onto the neck of the bottle first so that I could place them where I wanted them to be. I think this looks like a constellation over the dark navy, love it! 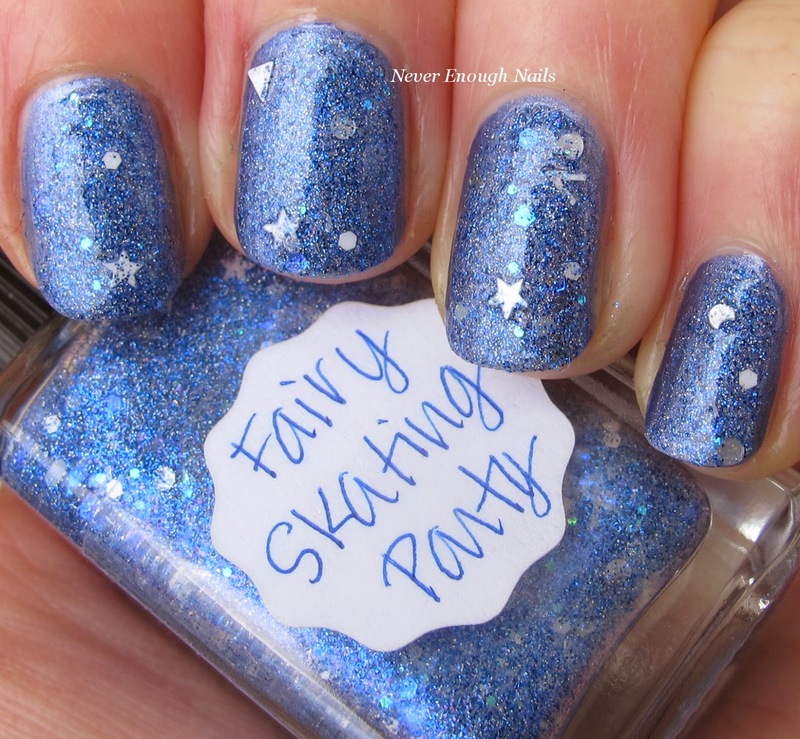 Lynnderella Fairy Skating Party is a "periwinkle and holographic microglitter" with larger white and silver holo accents. The holographic glitter makes this look more purple sometimes or more blue, depending on the light. 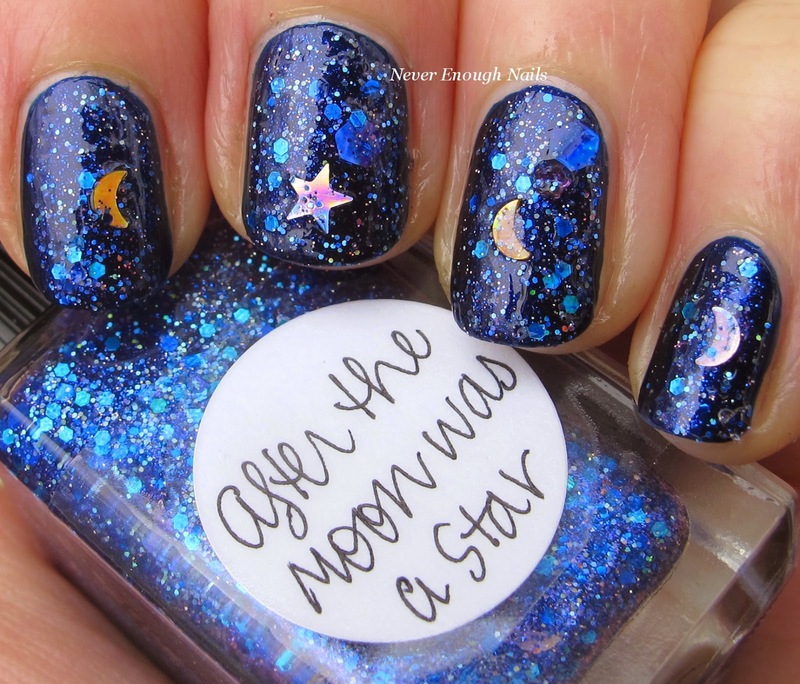 There are white stars, white triangles and some shiny blue glitter accents that add a lot to the polish. Fairy Skating Party is a core collection Lynnderella from the Deck the Nails (with Lynnderellas) holiday collection. This is one coat of Fairy Skating Party over Zoya Prim. Fairy Skating Party can definitely be full coverage in probably 3 coats, but I tend to like to layer my microglitters anyway. It was easy to apply and I just applied it using regular brushstrokes. Lynnderella She Changed Her Spots was one of those polishes that I just NEEDED as soon as I saw it. It's a limited edition, and it's well worth the wait/bidding wars! Lynnderella describes this beauty as "holographic, matte, satin and metallic dots in assorted shades of leopard. Clear base with warm golden sparks and tan micro glitter". 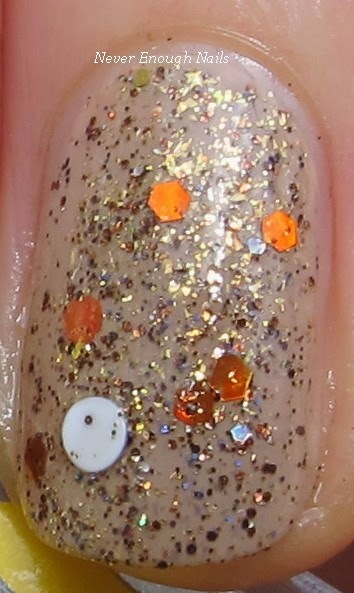 I love the leopard color scheme and this polish features my favorite circle glitters in a variety of sizes and colors. The golden sparks in the base are really beautiful and tie all the colors together nicely. This is one coat of She Changed Her Spots over Barielle Kiss Me Kate. The formula was great, nice and easy to apply! I am thrilled with all of my new Lynnderella polishes and have more to show you soon. I even managed to snag one of the Advent polishes! Lynnderella polishes are available on lynnderella.com and lynnderella.storenvy.com. For more information about Lynnderella and new collection info, check out lynnderella-lynnderella.blogspot.com. That was such a nice Christmas gift to receive! I love it too! !